It’s summer time and you have your first little garden; it’s not much but you loved the taste of your first salad! But you accidentally sowed all your crops all at once and have too many greens to eat in one go. 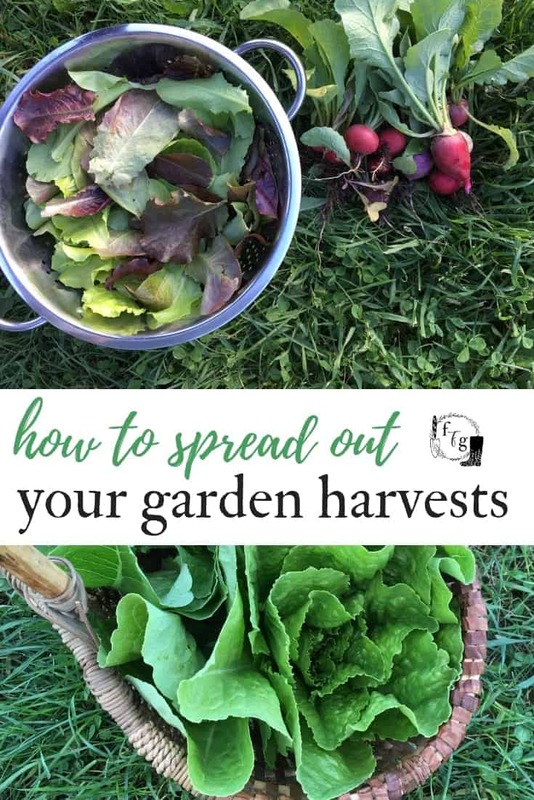 You share the harvest with many friends, then see your empty garden bed and sow more greens. Now you’re waiting another 6-8 weeks for those fresh greens and heading to the farmers market or grocery store in the meantime. Was there something you could have done to prevent this? You find out that staggering your sowing times (succession sowing) will provide you with more consistent harvests. Succession sowing involves sowing a crop multiple times throughout the growing season instead of all at once. This allows you to harvest certain vegetables continuously over many weeks because you sow that crop every 1-3 weeks instead of all at once. Crops that are great for succession sowing are ones that grow quickly and can be harvested within 2-4 months. Succession sowing is great because rather than dealing with 30 heads of lettuce all at the same time, you can harvest 5 heads of lettuce over a period of many weeks instead. You can also space out your crops for food preservation. Rather than freezing or canning all your bush beans all at once you could succession sow to spread out the labor over many weeks instead of preserving until midnight. If you’re a beginner gardener or a very busy family then succession sowing might be too much to remember and keep track of because there are multiple sowing times. In this case, it might be better to sow your crops in the spring and grow ones with longer days to maturity. However if you love gardening or want to take your food growing to the next level then succession sowing is key for better harvesting slots. For succession sowing to work you need to choose the right crops and get your timing right. Below are some suggested crop guidelines and I’ll share some examples later in the post. Crops that are ready in 1-3 months. 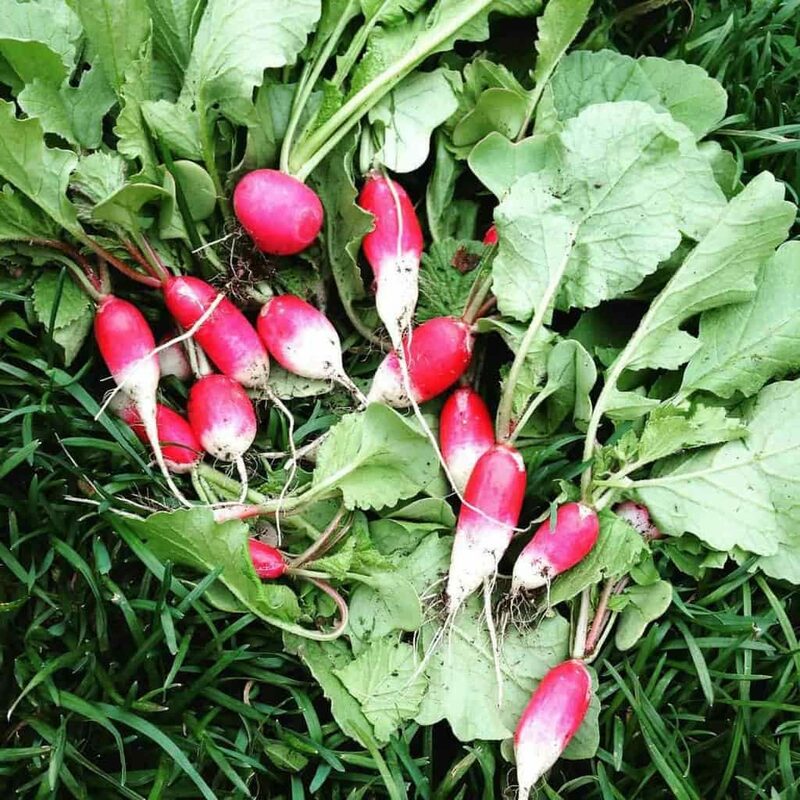 Radishes, Leaf Lettuce, Mustard Greens (komatsuna, mizuna, mibuna, tat soi, giant red… just to name a few),Toy Bok Choi, Baby Turnips (hakurei is a fav), Baby Kale Greens, Arugula, Spinach for example. 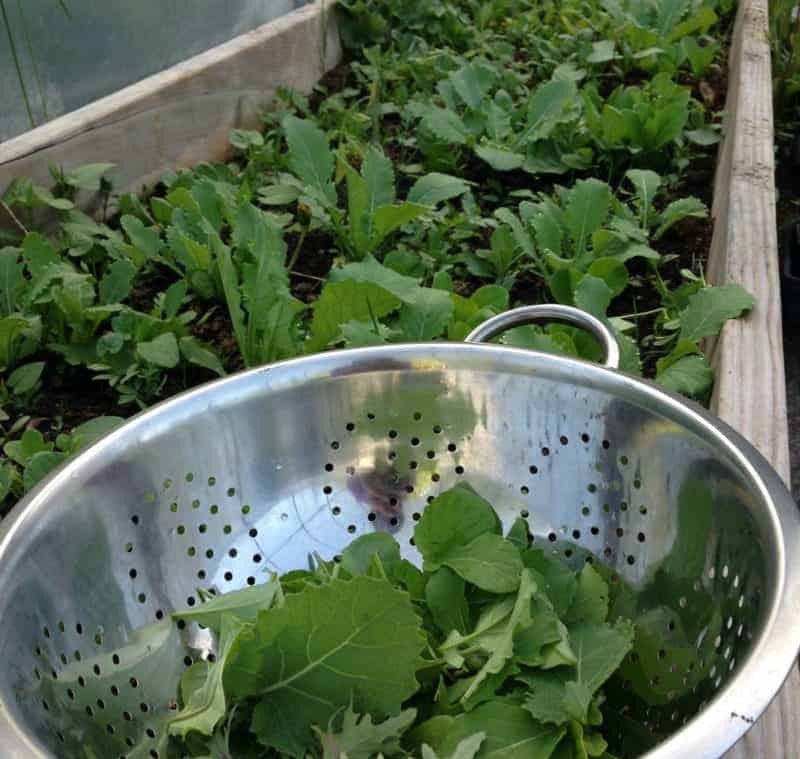 Learn how to plant greens year-round. 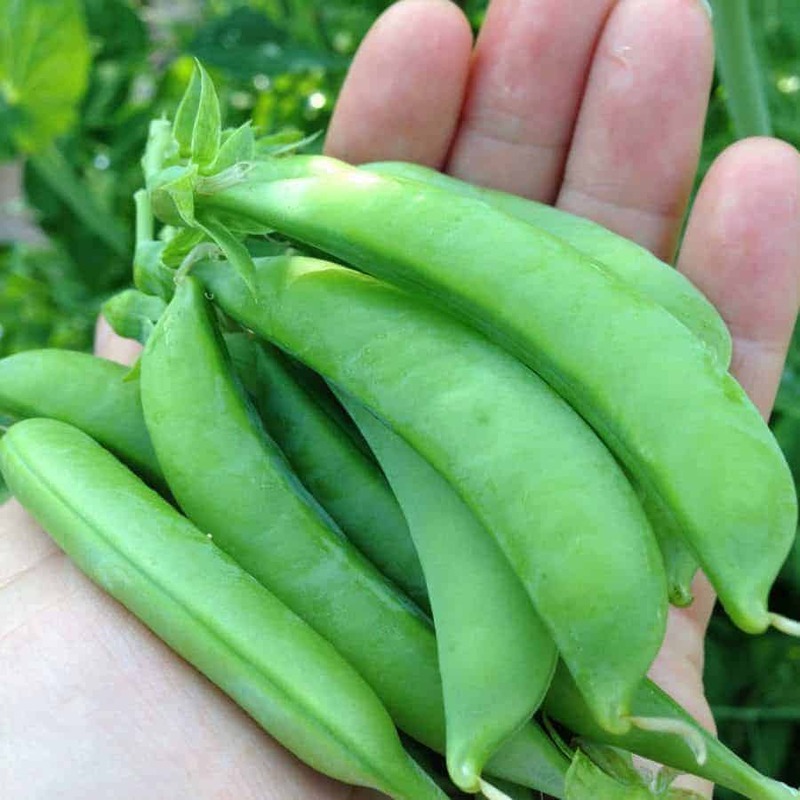 Crops that need prompt harvesting like bush peas, bush beans, baby greens are perfect to sow multiple times too. Most of the crops that can’t be ‘left in the ground’ to keep growing larger are crops you’d choose from. 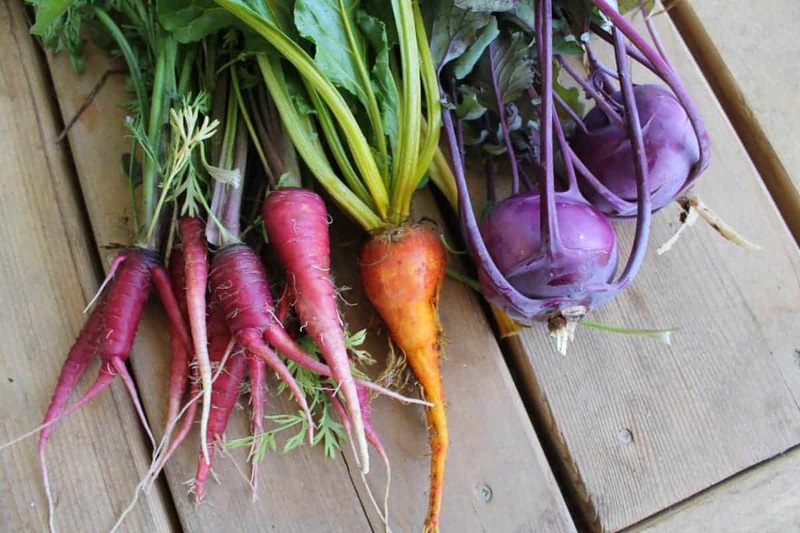 Although you can definitely sow carrots and beets for example multiple times (& I do for our fall garden) those crops will just keep growing larger. On the other hand crops like beans will go to seed unless you harvest every day. Cool season crops are great to sow over a few weeks in the spring and then again late summer for fall harvests. The summer heat tends to be too much for them and they will bolt (go to seed). If you sow them multiple times you’re increasing the chance they will keep growing through those heat waves as younger plants can last longer and keep growing because older plants will just feel stressed and go to into flower production. Most fruiting crops aren’t great for succession sowing. The exception is zucchini/summer squash and cucumbers because you can usually harvest them within 55-65 days. Just make sure you have time for the plants to mature plus the harvest window before fall frosts. Many people instead choose early season, mid-season and late season tomatoes for example. You can use a single transplanting time of early summer, to spread that harvest instead of succession sowing. Crops that take 100 days to grow like parsnips, rutabagas etc won’t work as well for succession sowing. In *general* succession sowing crops are better directly sown, not transplanted, which also gives you an idea of which crops are better suited to it. You could transplant broccoli 3 times in a season (& I often have two transplanting times to have summer and fall harvests) but usually it’s easier with direct sowing because you don’t have to worry as much about how old your transplants are before you need to get them into the ground. Bush Beans for home canning: Sow June 1st, June 15th, and June 30th. Spinach, Bok Choi, Radishes Arugula to prevent bolting: April 1st, April 10th, April 15th, and April 20th. 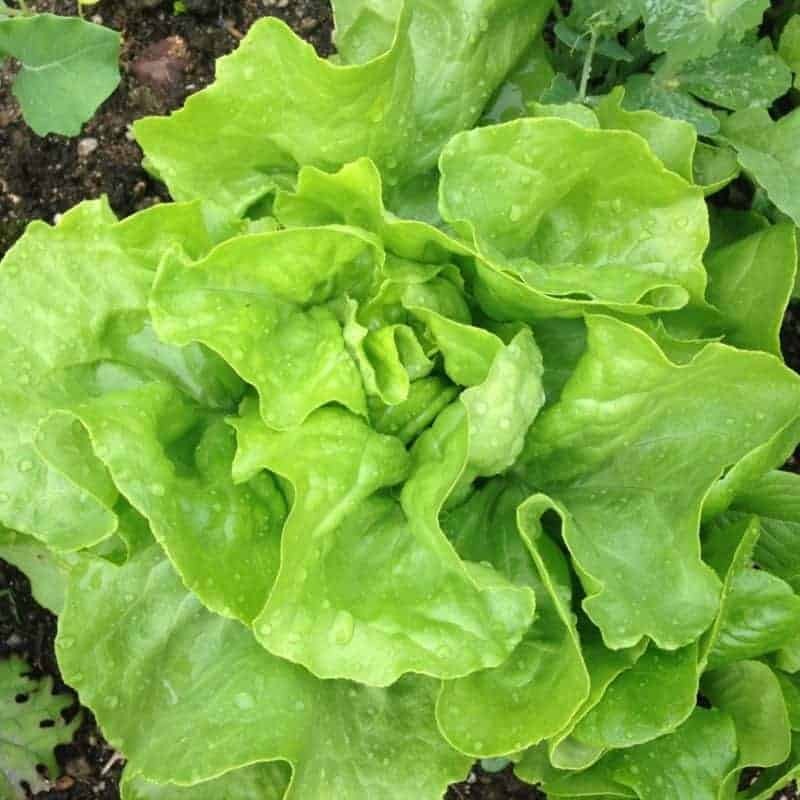 Leaf Lettuce for many harvests: (under season extenders) March 30th , April 10th, directly into the garden: April 20th, April 30th. Plant Head Lettuce: April 1st, April 15th, May 1st, then take a break then continue August 15th, August 30th, and September 1st. Succession sowing can be a wonderful way to get continuous harvests from your garden. It just takes a little practice! Let me know if you have any further questions and if you’d like to learn more about garden planning check out my garden planning book or my ultimate garden planner.